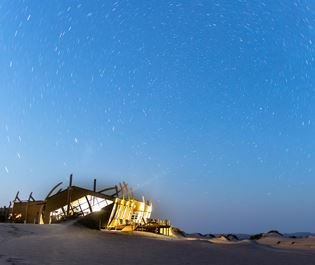 Provocatively named and evocatively experienced, the Skeleton Coast is the destination we'd pick for a journey into the unknown. 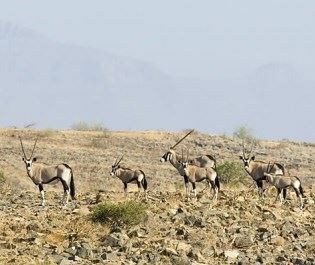 With shipwrecks lost in the dunes and the rowdy antics of Cape fur seals, it's a great place to feel the beauty of nature and the blissful serenity of Namibia. What is the Skeleton Coast? The Skeleton Coast stretches north from Swakopmund, encompassing the northern half of Namibia's Atlantic coastline. It's pure desert, a realm of swirling dunes and breathtaking solitude. Half-buried shipwrecks leave haunting memoirs in the dunes, their hulls and masts poking above the resplendent red and orange sand. On an aerial safari they provide wonderfully photogenic focal points, examples of where nature has irrefutably won over the attempts of man. A strange yet beautiful sight. Colonial Portuguese sailors called this 'The Gates of Hell' but we much prefer how San Bushmen refer to it as 'the land god made in anger.' It's raw and rugged, inhospitable yet strangely welcoming. 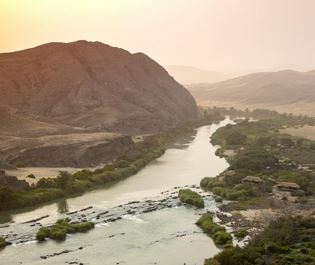 The Skeleton Coast offers a sublime connection with the wild, showcasing how true wilderness continues to grace our planet. If you're seeking to get off the beaten track then it's highly recommended, especially since it's only been made accessible in recent years. How can you experience the Skeleton Coast? 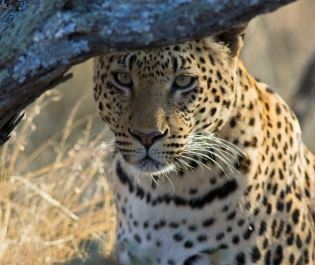 One option is an overland trip in a four-wheel drive, either from Swakopmund to the south or Etosha to the east. Another is on an aerial safari. 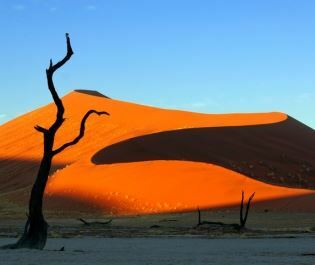 Both are as much about the journey as the destination, taking you deep into the ancient dunes and startling shipwrecks. 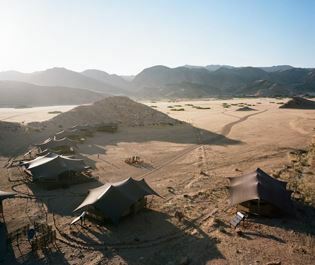 Recover from the journey at a luxurious camp hidden in the heart of nowhere, where you dine on the dunes and sometimes encounter nomadic big game searching for water. 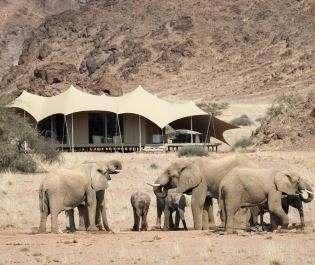 We love this ability of the Skeleton Coast to provide luxury while you're out on an intrepid adventure. Cape Cross provides the guaranteed wildlife encounter, with 300,000 Cape fur seals living and breeding on a bumpy beach. 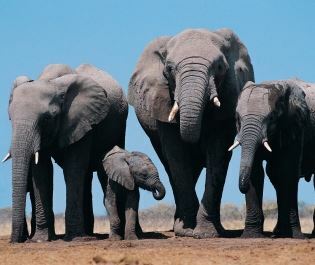 Males battle for a harem, mothers guard babies, and their wobbling antics can have you captivated for half a day. Watch your step because sometimes the beach is so full there's nowhere left to put your feet. Photographers love it here and so do we, the sense of escapism absolute and the sense of nature's power a wonderful contrast to our everyday world.